Public Radio Listeners know about the future. Through their contributions they have kept programs like STAR'S END secure in its time slot. The pledges and donations that come in during the fundraisers are so important and equal in weight to that of the show host or the musicians who populate the playlists every week or come in to perform live on the air. Action equals character and to sustain the activities of both STAR'S END and WXPN you have to do more than just tune in and listen; you have to call in and pledge. Thanks for doing so this weekend on STAR'S END! Your generous act not only funds the radio station but also indicates that you are serious about this unique radio show and the amazing range of music it has presented throughout its over 30 year history. You are also insuring that this unique programming will be there for you every Saturday night when you tune in. We're not asking for a few people to do a lot, we're asking for a lot of people to do a little. Sincere Thanks to the 42 listeners who pledged on the 10.04.09 broadcast of STAR'S END! Your generosity and support brought in $3791.00 and is sincerely appreciated - we need you to keep WXPN going! Special Thanks to the phoneroom volunteers: Art Cohen, Ben Manes, Dan Marsh and Bud Schoefer - plus Jeff Towne for his efforts on-air. 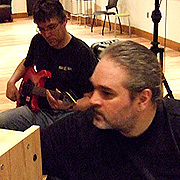 Thanks also to Marc Byrd of Hammock who was featured on-air in a live telephone interview, and to The Tangent Project for their kind offer to perform at the STAR'S END Donor Concert of Saturday 5 December 2009. 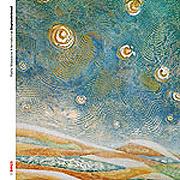 As a special Thank You gift to those contributing $144.00 (on a credit card) STAR'S END offered admission for two to a live concert with local Spacemusic duo The Tangent Project, a CDr containing a previoulsy unreleased track by The Tangent Project, as well as a copy of the STAR'S END 30th Anniversary Anthology double CD. The performance will be held at 8:30pm on Saturday 5 December 2009 within the intimate space of the WXPN performance studio, 3025 Walnut Street in Philadelphia. In addition to attending the live concert, donors will have the opportunity to tour the studios, meet Jeff and Harrison of The Tangent Project as well as STAR'S END host Chuck van Zyl. Pledging for this premium package is a way to support the radio station while experiencing electronic spacemusic live as it happens, in the midst of fellow STAR'S END supporters, the musicians who make the music, and the radio producers who present it, all within the comfortable and acoustically correct space of the new WXPN studios. Sincere thanks to the eight supporters who pledged for the Donor Concert premium. 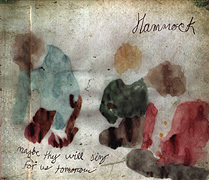 Transcending a mere listening experience by its sheer beauty, the music of Hammock seems able to convey one's innermost longings into sound - which can make for an indescribable affirmation of the spirit. Their critically acclaimed studio albums and entrancing live performances have found acceptance among tastemakers and listeners across genres ranging from Dream-Pop to Ambient, Electronic and Shoegazer. Hammock is the Nashville duo of Marc Byrd and Andrew Thompson. They demonstrate a profound talent for merging and filtering these elements through the use of gentle guitar melodies, delay, sparse vocals and patient song-craft. Marc Byrd of Hammock called in for a live on-air interview on the 10.04.09 broadcast of STAR'S END. 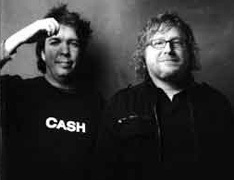 Topics covered included current and new CD releases as well as Hammock's compelling live performances. 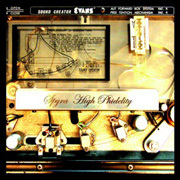 Special premiums are available for those pledging on the 10.04.09 broadcast of STAR'S END, including albums from labels Air Space Music, Synkronos Music, DiN, a Donor Concert with local Spacemusic duo The Tangent Project, as well as the STAR'S END 30th Anniversary Anthology CD from WXPN. The premiums pictured were donated by the artist and available (in limited quantities) as thank-you gifts to those making a credit card pledge during the 10.04.09 fundraising broadcast of STAR'S END. More traditional premiums, including the STAR'S END 30th Anniversary Anthology CD furnished by WXPN, were also offered during this broadcast and throughout the Fall 2009 Fund Drive. As a special Thank You gift to those contributing $144.00 (on a credit card) STAR'S END is offering admission for two to a live concert with local Spacemusic duo The Tangent Project as well as a copy of the STAR'S END 30th Anniversary Anthology double CD. The performance will be held at 8:30pm on Saturday 5 December 2009 within the intimate space of the WXPN performance studio, 3025 Walnut Street in Philadelphia. In addition to attending the live concert, donors will have the opportunity to tour the studios, meet the members of The Tangent Project as well as STAR'S END host Chuck van Zyl. Please tune in to STAR'S END for details (as well as info on other STAR'S END specific premiums) - and call in on the 10.04.09 broadcast! 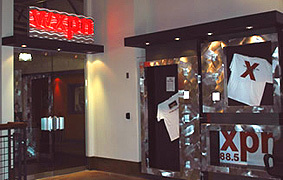 This premium package is a way to support the radio station while experiencing electronic spacemusic live as it happens, in the midst of fellow STAR'S END supporters, the musicians who make the music, and the radio producers who present it, all within the comfortable and acoustically correct space of the WXPN studios. Sincere thanks to everyone who pledges for the Donor Concert premium. Seating is limited, please call in early for this premium. 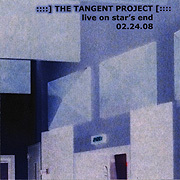 The title says it all: The Tangent Project: Live on STAR'S END 02.24.08 (64'48"). This on-air concert was the first live performance after quite a few years on Spacemusical hiatus. 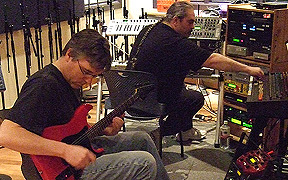 Both Jeff Coulter and Harrison McKay have been kicking around the Philadelphia Spacemusic scene for 25 years or so. 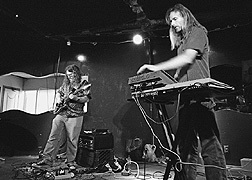 Coulter, along with Chris Schwartz, played in the cosmic music duo Tangent, while elsewhere McKay composed ethereal music for dance in addition to his solo Ambient works. Radio Massacre Int'l is a trio of English musicians (Steve Dinsdale, Duncan Goddard, Gary Houghton) known for their extended concerts of epic aural excursions. RMI proudly admits that their performances are largely improvised and often veer off into areas dictated by mood, circumstance or whim. Their recorded output reflects the diversity and complexity of this work, which is often compared to that of the Berlin School of cosmic music that emerged in Germany during the 1970s. But RMI is not simply re-creating the music of this era, but rather further exploring and contemplating the expressional mode and the instruments that made it possible - in hopes of realizing new ideas. Enter third millennial idea-man Ian Boddy and Septentrional (56'14"), his interesting collaboration with RMI. For this album, Boddy has extensively edited and arranged hours of new RMI studio recordings into five tightly orchestrated and varied pieces, adding his own percussion riffs and rolls when needed. While the tracks sound like something made by RMI, they are more condensed and agile. Gone are the sprawling and time-warping jam sessions of previous releases. On Septentrional Boddy successfully retains the essence of RMI's music as well as displays its variety. The feel of the album shifts in turns between the stark and elegiac soundscapes of "Seven Sceptres of Sephulcrave" (11'43") and "The Last Laugh" (8'20") to the athletic and brisk spirited "The First Cry" (11'06") and "Trident" (11'19") and the nimble and supple complex web of minor key melodies on "Searching Septentrional Skies" (9'20"). Here the slow early section drifts by, generating momentum for the gyratory sequencer rhythms. So goes Septentrional, a cofunction that yields abundant musical rewards - addressing the ideal of only being satisfied with not what came before but what comes next. 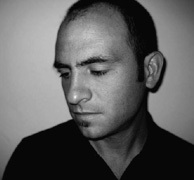 Operating at the heart of electronic music, Saul Stokes' work has been primarily an exploration of timbre and the character of sound. On Villa Galaxia (55'45") Stokes does not ditch the experimental ambiance he took so long to develop, and surprises us with eight tightly arranged and focused works. 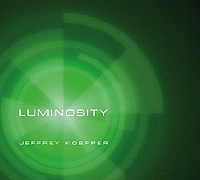 With the path of each piece following imaginative accelerating percussion and charged synthetic rhythms, the energy level of this CD wanders into the realm of more contemporary releases. 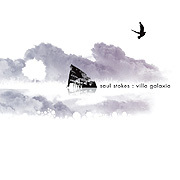 Yet, with its fascinating arrangement and wealth of original tones and sonic coloration, Villa Galaxia will please the bobbing club hipster as much as the prone head-tripper. In this finely tuned collage of grainy beats, squiggly synths and twisting tones each song bursts with vitality and warmth. An album of its time, spanning and transcending electronica's musical moment, Stokes channels the era of the synthesizer. 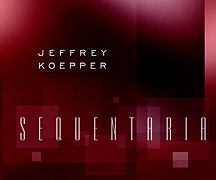 Renowned for his technical abilities and restorative powers, Jeffrey Koepper is distinguished for his work in maintaining and reviving vintage electronic music equipment. His music is realized through a mastery beyond the technical side of his craft - and alternates between analogue bubbles and digital ice, and bright, smooth, spacious tonal landscapes. 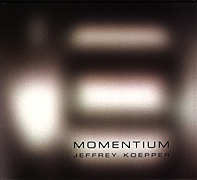 Applying his vast technical knowledge of music making equipment towards programming evocative ethereal sounds and strong rhythmic designs, Koepper produces music of impressive depth and rare intelligence. The Philadelphia based Spacemusic duo The Ministry of Inside Things exist outside the confines of the recording studio and in the realm of the live performance. As MoIT, Art Cohen (guitar) and Chuck van Zyl (synths) continue a tradition of bringing an otherwise methodical studio based artform out into the spontaneity of the performance environment. 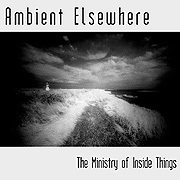 Their third CD Ambient Elsewhere feels dark and isolated when compared to their two earlier releases. 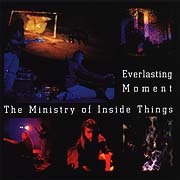 While Everlasting Moment explored the edges, dynamics and tension of space and atmosphere, and Contact Point embraced the more unified themes of cosmic, biospheric and macrocosmic interaction, Ambient Elsewhere moves through a strange new territory in-between and outside of traditional Spacemusic. Drawn from a range of chilling themes, this album sonifies wintertime, desolate landscapes and the midnight of the soul. Moving through the timbral badlands of the empty quarter, their music offers up a courageous intimacy. Always bringing their own influences and innovation to the music process, MoIT produces a sound that is uniquely individual and personal. 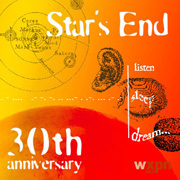 To mark 30 years of continuous broadcast of STAR'S END, WXPN has released the STAR'S END 30th Anniversary Anthology CD. This double CD contains over 120 minutes of live music from 11 renowned artists. The unique performances were culled from on-air in-studio radio concerts by some of our community's greatest talents. Included on the disc are previously unreleased live selections donated by: The Ministry of Inside Things, Orbital Decay, Ian Boddy, AirSculpture, Radio Massacre International, Robert Rich, Rudy Adrian, Jonn Serrie, Jeff Pearce, Saul Stokes and Steve Roach. The STAR'S END 30th Anniversary Anthology CD is available for a $60 donation to WXPN, which includes membership and all of its benefits. Current WXPN members can receive the STAR'S END 30th Anniversary Anthology CD for a $25 donation. 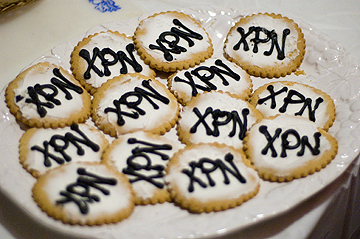 Access the online Pledge Form to support WXPN and aquire your CD. 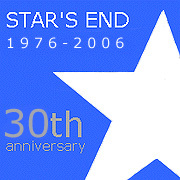 Please indicate "STAR'S END 30th Anniversary Anthology CD" in the comments box. Call 1-800-565-WXPN or send an email to WXPN Member Services for details. CDs are currently being sent out to donors by the WXPN Membership Department - which may be reached by telephone at: 1-800-565-WXPN or via email.